This recipe is one I’ve had for years, but I often forget about it because it gets lost amidst all the other oatmeal cookie recipes out there. I call these Chewy Honey Oatmeal Cookies because they are big, flat, chewy and have a bit of a honey flavor. They do call for 1/4 cup of shortening in addition to the butter because it really helps the shape and texture. One day I may try swapping the 1/4 cup of shortening for clarified or browned butter, but it would probably mess up the texture so I’m keeping the shortening for now. 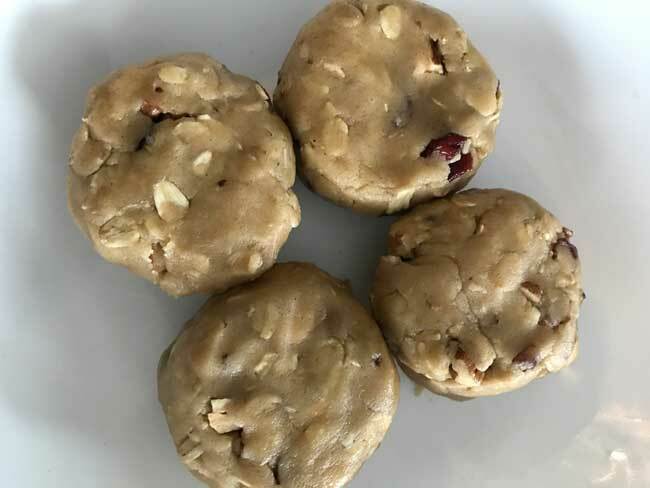 The cookies are fairly sweet, but part of the great texture comes from all the sugar and of course the honey, so in my opinion the best way to cut the sweetness is by adding nuts. I always make these with pecans. For the fruit I prefer them with raisins, but dried cranberries work too. White chips might be good, but chocolate chips would be weird unless you like the combo of chocolate and honey. 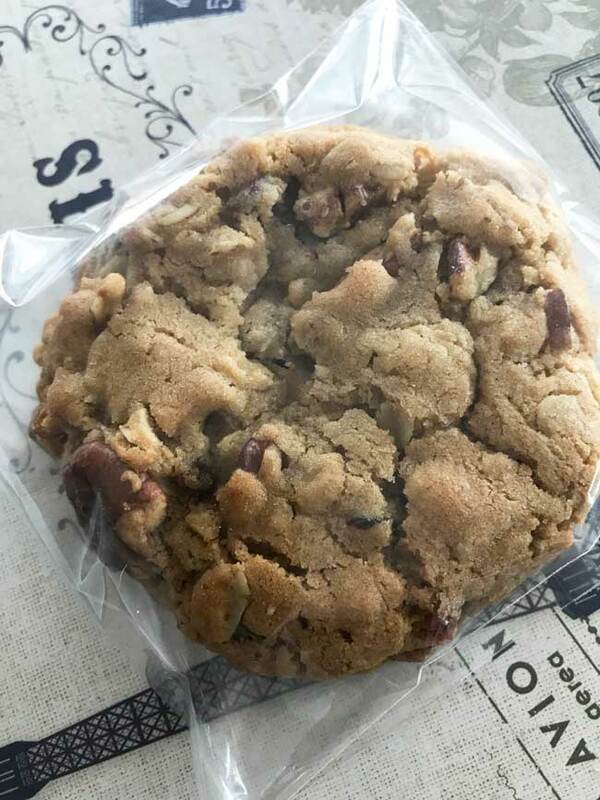 Chewy Honey Oatmeal Cookies are bake sale size and perfect for packaging individually. They (usually!) fit snugly in 4×6 size self sealing bags and loosely in the 5×7 inch self sealing bags. The drawback is that the recipe only makes 12 large cookies. I’ve never doubled it, so feel free to try. But first see if you like the cookies! You may think they are quite terrible — or maybe not salty enough, and that is perfectly okay. The cookies in the top photo are today’s batch. I only chilled the dough (photo below) for about 2 hours. 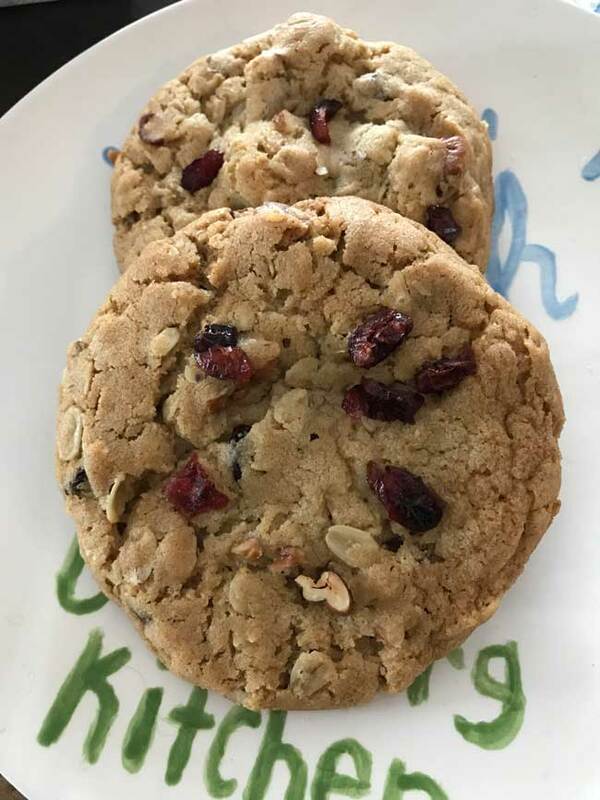 These are big and flat oatmeal cookies made with a mixture of melted butter and shortening. Place butter and shortening in a microwave-safe bowl heat for 30 seconds. Stir and repeat until butter is melted. Shortening will probably be only partially melted. Pour the hot butter mixture into a mixing bowl and add both sugars, then stir in vanilla extract, honey and egg. Mix together flour, salt, baking soda and cinnamon. Stir flour mixture into sugar mixture until thoroughly combined. Stir in oats, pecans and raisins. At this point the dough should be a bit soft. Put the bowl in the refrigerator and chill the dough just until it is firm enough to hold its shape when scooped. Using a generous (heaping) 1/4 cup measure, scoop dough into 10 equal portions. Roll each portion into a ball and shape into a neat mound with a flat top. Place dough mounds in refrigerator and chill, covered, for at least 3 hours or preferably overnight. If you do not chill them thoroughly, the cookies will spread more. Preheat oven to 325 degrees F. Line a cookie sheet with parchment paper or nonstick foil. Place 4 or 5 chilled dough mounds on a cookie sheet. Bake for about 20 to 22 minutes or until cookies appear set. Allow them to cool for a few minutes on the baking sheet, then transfer cookies to a rack and let them cool and crisp on rack. Repeat with remaining cookies. The cookies get sturdier and sturdier the more they cool. The should be sturdy enough to be individually wrapped and propped up in an appealing manner. This one is not propped up, but it is individually wrapped. Thanks Lisa! Let me know if you get a chance to try the recipe. Oh my word, these cookies are a think of beauty!!! 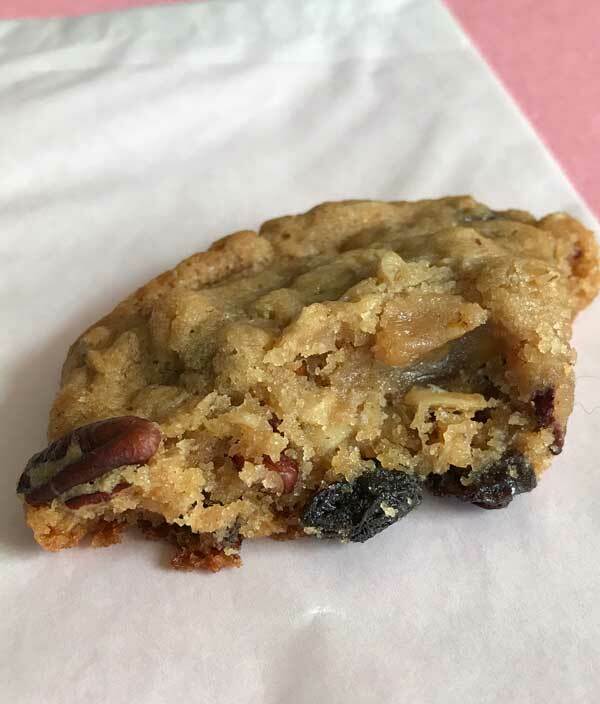 When I see a new cookie recipe from you I get excited because I know it is going to be a winner!!! Thank you!! 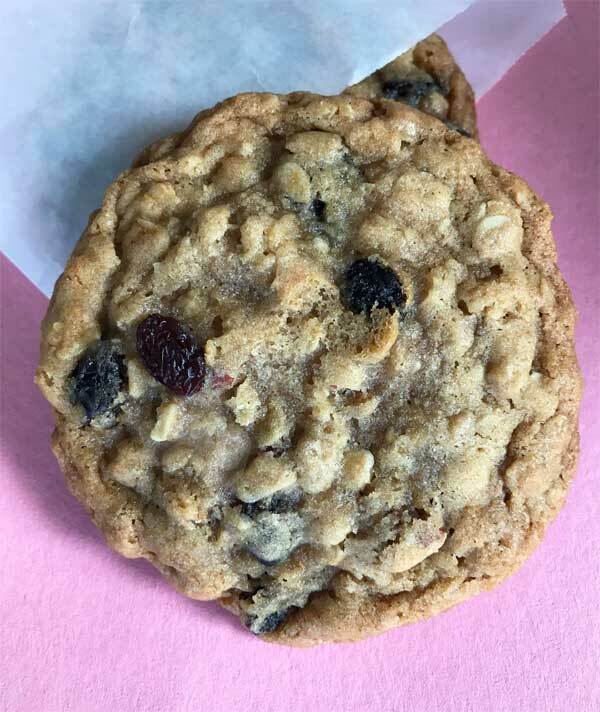 An oatmeal cookie with honey sounds like a winner!